Walkinshaw Andretti United co-owner Zak Brown says Scott Pye’s victory at Albert Park is a sign that the operation is on its way back to being a force in Supercars. The Clayton operation ended its winless streak that stretched back to September 2016 when Pye held off Jamie Whincup to claim a memorable win at last weekend’s Coates Hire Supercars Melbourne 400. Pye’s Race 5 triumph in tricky wet and gloomy conditions was his maiden Supercars win and the team’s first under the new Walkinshaw Andretti United guise. 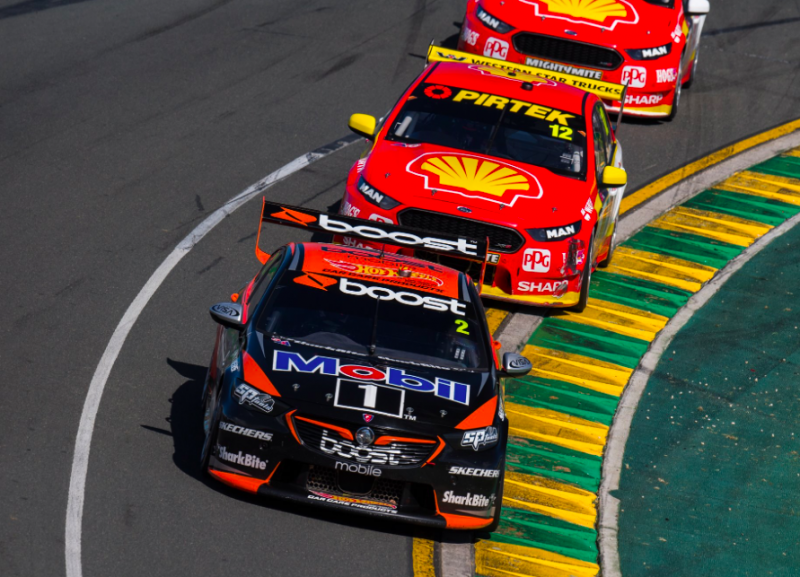 The result arrived after a strong showing at the Adelaide 500 where the outfit topped the teams’ standings after recording four top 10 finishes, including James Courtney’s second place finish in Race 1. While the team has been strong on the Adelaide streets in previous years, success at Albert Park appears to be a sign of progress for the once struggling former Holden factory squad. Last season proved to be one of the worst on record for the squad, which was plagued by a lack of speed and consistency that prompted a management and ownership restructure. “I think that’s safe to say, we’re on our way (back),” said Brown. “You know wins like that give confidence to everyone. “Scott’s got to be feeling good to get that win off his back. “We were competitive all day on Thursday and then Scott’s had a really clean weekend, James has had a few issues but he saw the pace is there. General Manager of Motorsport Mathew Nilsson echoed Brown’s view on the increase in confidence in the team following the victory, but is refusing to get carried away by the result. After a tough 2017 campaign, he admits the victory provided a sense of relief around the operation. “There have been no surprises about how difficult this last year has been and everything we have gone through,” Nilsson told Speedcafe.com. “Everyone has just got their head down and we have had predominately the same crew. It was a sense of relief that we can do it. It is just about building confidence. “We need consistency. It is great to win but by no means is this a turn the corner moment. The team will now head to Tasmania for Round 3 of the championship from April 6-8.